Protection from pressure sores: Care must be taken to protect the support surfaces and to position the child in order to protect bony surfaces and joints. Head fixation: In small children, particularly those under 3 years of age, the classic pin fixation head holding devices may be dangerous. Penetration or fracture of the thin skull may occur. Thus the head is usually positioned on a soft headrest, such as a horseshoe headrest. When a small child’s head is immobilized with plastic straps, care must be taken to control the pressure over the area of the parotid glands and eyes to avoid facial and optic nerve lesions. Another technique is to use a horse-shoe head holder protected with a U-drape to prevent excessive movement of the head when it is not rigidly immobilized. Stabilizing a young child’s head without pin fixation: The head is first positioned on a foam horseshoe head holder. Application of adhesive U-drape: The U-drape is then applied to fix the head to the head holder. Final position with U-drape: The placement of the drape both fixes the child’s head to the holder and protects it from the surgical prep. In this case the holder has been further built up with toweling prior to placing the drape to ease its removal at the end of the case. Hemostasis: In infants under 6 months of age, and particularly in neonates, blood loss must be minimized. Hemostasis must be exquisite and any potential loss minimized, since excess infusion of blood products is quickly associated with clotting and electrolytic alterations, hyperpotassemia, and hypocalcemia. These in turn can trigger severe arrhythmia during an operation. For operations on very small children, a fresh supply of blood products should be available from the blood bank to limit coagulation problems. Above all else, communication between the surgeon and the anesthesiologist is crucial. Biopsy: An option for managing LLGs is to perform a biopsy to confirm the histology before making any treatment decisions, but most prefer tumor excision when it is safe. 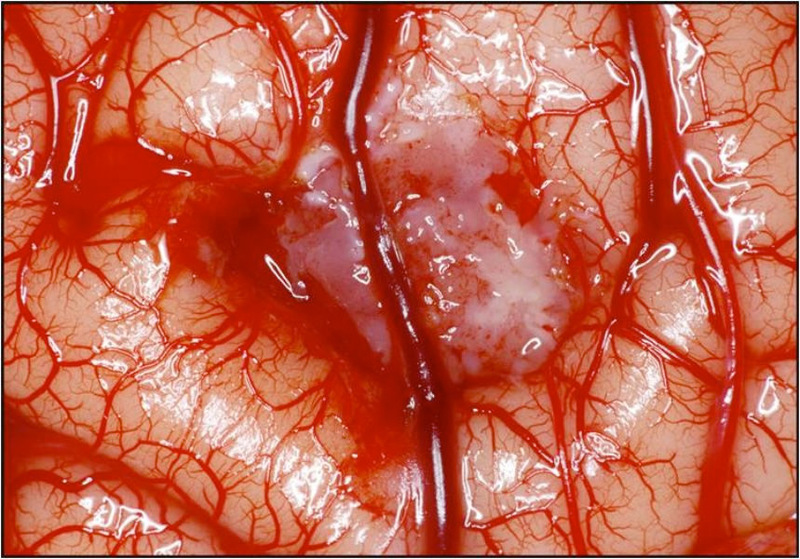 Planned limited tumor resection: The clinical history of these tumors can be very long (e.g., 10 years), so one should attempt to conserve both simple and complex cerebral functions. This requires complex presurgical studies. Many LGGs are located in eloquent areas: language, motor, insula. 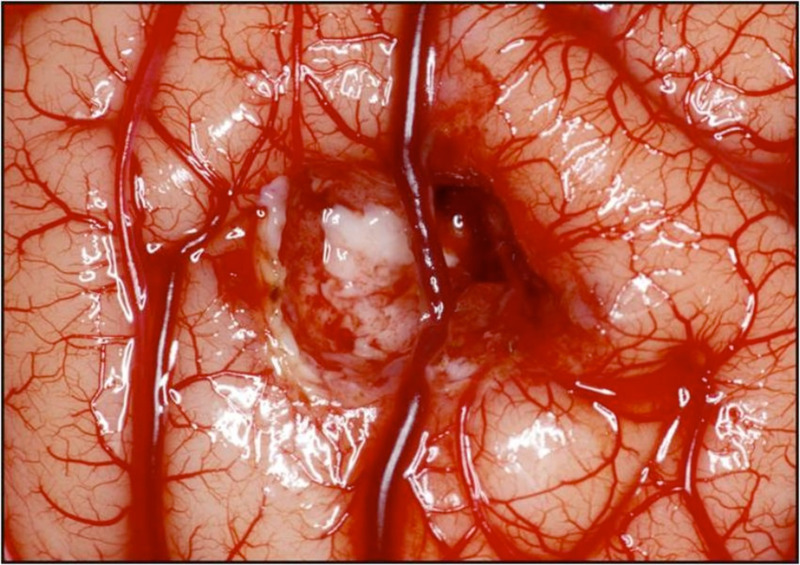 These tumors grow slowly along the blood vessels or along the white matter fiber tracts, with some periods of faster growth and others of slower growth. FLAIR imaging indicates that the growth rate averages about 4 mm per year (6). Radical tumor resection: Current practice is to perform a complete, or as complete as possible, resection of the tumor. Resection makes it possible to obtain an exact diagnosis, which may include the molecular profile (5). It also makes it possible to alleviate, or even possibly cure the symptoms, including epileptic seizures. The incidence of recurrence or malignant transformation of the tumor is much lower with this approach. Cortical grade 1 astrocytoma: Note that the gyrus inferior to the tumor has not been invaded. Local choice for bone fixation and skin closure: The author prefers bone flap fixation using plates and screws (made of titanium or resorbable materials).